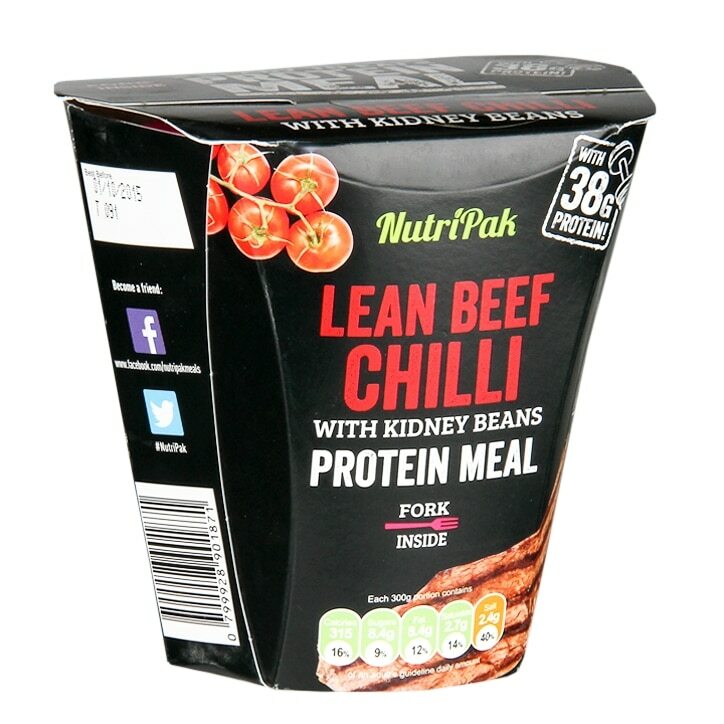 Extra Lean Chilli Beef with Kidney beans for when you need some red meat on the go! Packed with over 38g of protein and less than 20g of carbs and less than 3% fat. It's sugar free and contains no artificial coloring, flavoring or preservatives and doesn't need a fridge. Fork inside. Water, beef, tomato paste, precooked red beans 6.6%, soy protein, tomatoes, onions, peppers, honey, vinegar, salt, spices (cumin, paprika, pepper ), garlic, paprika extract.